This month’s update concerns two issues that were subject to recent court decisions and are of practical significance: (a) contingent IEPs for students in third-party placements, such as Medicaid-provided residential treatment facilities; and (b) restrictions on parental communications to district personnel based on a previous pattern of excessive or intimidating e-mails, calls, and/or visits. Collaboration and advocacy are two areas where both parents and teachers agree that more can be done. Two possible ways in which this can be accomplished are by having better communication between parents and teachers as well as better understanding of the different cultural views that parents and teachers may have. Acknowledging that improvement is needed and seeking assistance in these areas is the first step in achieving better collaboration and advocacy for all parties involved. Throughout the process of identification, evaluation, placement, and continued support of students with disabilities, the involvement and engagement of the parents is a vital aspect that will have long term effects on the student’s academic progress. Under the guidelines of the Individuals with Disabilities Education Act (IDEA, 2004), it is required that parents are given the opportunity to be active participants in the decision-making process and the development of a student’s Individualized Education Plan (IEP). However, when working with families that come from culturally and linguistically diverse backgrounds, several barriers may present themselves that effect involvement in the process including language, availability of parents to participate, and diverse cultural views. It falls on the shoulders of the special education teachers and school staff to accommodate to the individual needs and to respect the individual cultural aspects of the learners and their families using a variety of best practices and strategies. Gilberto is a young immigrant child with autism spectrum disorder who is growing up in a Mexican household. He often has trouble understanding his peers and teachers who speak English. With the help of the school, he is adjusting to a new culture, learning a new language, and working on educational outcomes. The example stated above illustrate issues related to conflicting language and culture between school and home contexts. Practical supports and interventions to address language and cultural barriers, for individuals with autism spectrum disorders (ASD) whose families are English Language Learners (ELLs), will be discussed in this article. The purpose of this paper is to draw from the evidence bases on interventions for children from bilingual families and intervention for children with ASD. Future recommendations are described to help bridge the gap between bilingual families and educators working with children with ASD. Culturize Every Student. Every Day. Whatever It Takes, by Jimmy Casas is an educational leadership that focuses on the building positive relationships with students, colleagues, administrators, district personnel, and in the community. Jimmy Casas uses his own personal experiences as an educator and administrator as well as Four Core Principals to shape his own belief system and encourage others to reform their own. By reforming their own belief systems, educators model for students and colleagues to help build a positive culture. This review analyzes the information provided in the book and discusses the skills and knowledge educators need to have to best serve their students and become leaders in the school and community. As educators begin to make changes in themselves and in the lives of their students, they will feel more confident and have less doubts about being effective. Building relationships, making a commitment, understanding the change process, and fostering positive traits in themselves and students will help to make a lasting effect on the school community. This paper explores the positive effects of graphic organizers on student written expression through visuals, sentence frames, and the use of a checklist. Graphic organizers have been proven useful in aiding student development in comprehension during the writing process. Graphic organizers have been previously used in classrooms with older students. This study will focus on the use of graphic organizers in a classroom of younger students, specifically with a struggling student who lacks grade-level writing comprehension skills. Adams, D., Harris, A., & Jones, M. S. (2016). Teacher – Parent Collaboration for an Inclusive Classroom: Success for Every Child. Malaysian Online Journal of Education Sciences, 4(3). “Teacher – Parent Collaboration for an Inclusive Classroom: Success for Every Child” was conducted by Donnie Adams, Alma Harris, and Michelle Suzette Jones at the University of Malaysia. 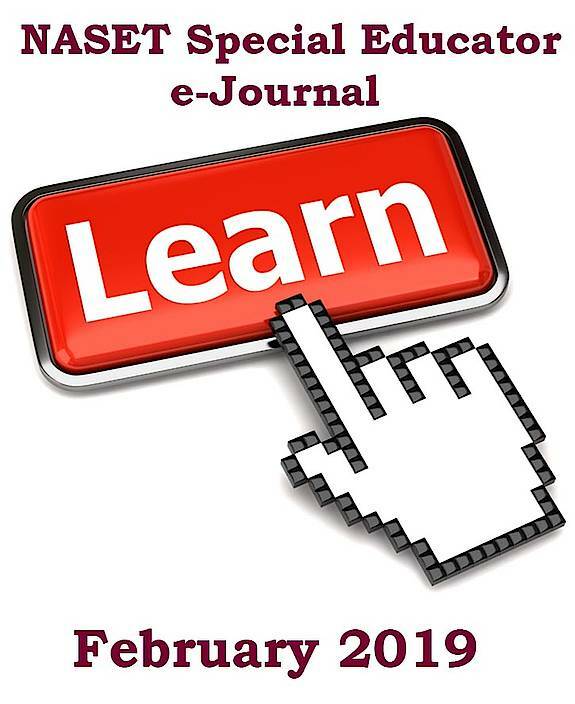 The study was published by Malaysian Online Journal of Education Sciences Volume 4 – Issue 3. The research focuses on Salamanca Statement of 1994 and Malaysian Education Act of 1996 which introduces inclusive education for all students (Donnie Adams, Alma Harris, Michelle Suzette Jones, 2016). According to the article, they define an inclusive education model as a “child’s right to equal education without discrimination and the school’s responsibility to accept them, to provide appropriate facilities and support to meet the needs of special education needs students (Donnie Adams, Alma Harris, Michelle Suzette Jones, 2016).” Inclusive programs are thought to help special educational need students establish friendship and gain acceptance among their general education peers. However, there are still not enough inclusive programs being utilized in Malaysian schools for secondary and primary settings. Only 6% of special education students attend inclusive programs and 5% are still attending special education schools. Furthermore, 89% of special education needs students are attending integrated programs (Donnie Adams, Alma Harris, Michelle Suzette Jones, 2016). By year 2021 to 2025, they believe that 75% of special education needs students will be enrolled in inclusive programs that are taught by teachers who will provide high quality education not just for general education students. The researchers believe that collaboration between parents and teachers as a way to understand special education needs, communicating regarding special education needs, perceived roles when implementing their needs, and expectations of each other’s role with assisting special education needs students. Together working in “identifying what areas of students’ development need attention and determine together appropriate goals and objectives to achieve (Donnie Adams, Alma Harris, Michelle Suzette Jones, 2016).” Both parties need to be honest and supportive of each other’s roles and responsibilities. Burgess, S., & Houf, B. Lead like a pirate: Make school amazing for your students and staff. San Diego, CA: Dave Burgess Consulting, 2017. This study follows a six week Leveled Literacy Intervention strategy implementation. A small group of four students led by a teaching assistant met four times a week for 40 minutes, for a total of six weeks. One student was selected as a focus student to progress monitor over the intervention period. The student selected is on a tier 2 reading plan and a tier 3 math plan. Phoneme segmentation fluency was used as the progress monitoring tool. Leveled Literacy Intervention was the selected intervention for this particular student. The study discusses the implementation methods, implications and results of leveled literacy intervention. The effectiveness of this intervention strategy in early elementary grades is the main research topic of this action research article. As students further their education, the importance of reading fluency increases. Reading fluency is one of the foundational aspects of reading. Developing strategies for reading fluency can increase vocabulary knowledge and reading comprehension. Middle school students who struggle with reading fluency will lack a desire to read and many times, chose not to read aloud in front of peers. The repeated reading strategy will help not only develop reading fluency strategies, but build the confidence of students. Repeated reading provides students with a model on how to read accurately with fluency and prosody. An academic review of The Mind of the Leader: How to Lead Yourself, Your People, and Your Organization for Extraordinary Results by Rasmus Hougaard, and Jacqueline Carter. The book was found to be practical, analytical and comprehensive in its approach to redefine leadership success not quantifiable in terms of finance or size. Instead, leadership is described as a tool to cause inspirational change in people, and ultimately societal values. While outlining this thorough approach to transform the functions of leadership, the review aims to establish practical elements of mindfulness, selflessness, and compassion. The reciprocal relationship of these intentionally chosen traits weaves a strong backdrop for intrinsic motivation of oneself and others. The road to adulthood for youth with disabilities is filled with opportunity, and parents play a key role. This web page has multiple branches where parents can explore topics such as: communication and teamwork, study habits and course selection, celebration and support, and preparing for the future. This 2018 tip sheet from NCWD/Youth speaks directly to youth with disabilities. It describes what decision-making boards are and gives examples, discusses why youth should serve on such boards, and offers suggestions for how to get started. Check out the list of resources at the link above, all intended to support competitive, integrated employment outcomes for transition-aged youth and young adults with intellectual and developmental disabilities. The Social Security Administration has a 2019 version of its pamphlet explaining the benefits availability to eligible children with disabilities (under the age of 18): SSI, SSDI, health insurance, Medicaid and Medicare, employment support programs, and more, including how to apply. There’s also a 2018 version of the pamphlet in Spanish. When parents have the right information to make decisions, students excel. But often the only information parents receive about their child’s education is through report cards and the occasional parent teacher conference. Better information empowers parents to provide better support, make better decisions, and be better advocates.